Students at an Indian school in the United Arab Emirates (UAE) set a world record on Tuesday by posing as a "human boat" to mark the 128th birth anniversary of India's first Prime Minister Jawaharlal Nehru. Dubai: Students at an Indian school in the United Arab Emirates (UAE) set a world record on Tuesday by posing as a "human boat" to mark the 128th birth anniversary of India's first Prime Minister Jawaharlal Nehru, the Gulf News reported. 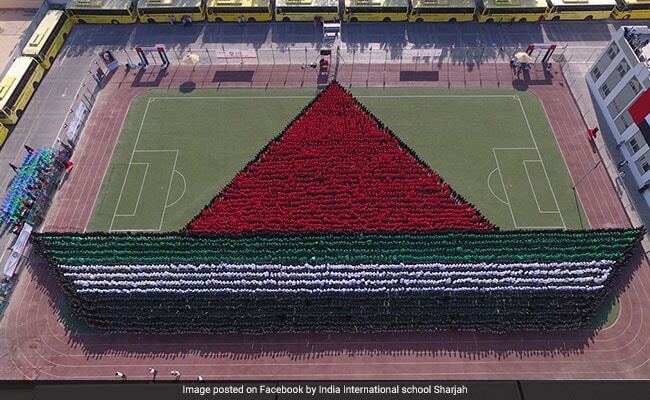 A total of 4,882 students from the India International School of the Pace Education Group participated in the event by wearing the colours of the UAE National flag which are black, red, green and white at a sports complex in Sharjah city. The children entered the Guinness Book of World Records by forming the largest image composed by humans which from the bird's eye perspective looked like a boat in the colours of the Gulf Arab country, the daily reported. The students, from grade one to eight, will receive a certificate from the Guinness World Records, it said. 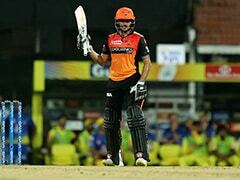 "It is a great achievement for our students. It is probably a once-in-a-lifetime experience for them," said school principal Manju Reji. "Their life has to go a long way like a boat sailing in an ocean. And the boat is a symbol of the UAE's heritage too. As a symbolic image, we chose the boat for this attempt." Because the UAE National Day is approaching, Reji said the school decided to use the flag colours to have a joint celebration of both the Children's Day -- Nehru's birthday -- and the UAE National Day.